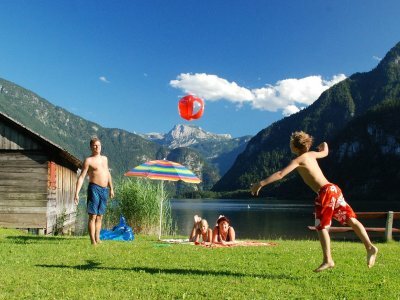 A holiday in the Salzkammergut is particularly special when there is something going on. For this reason numerous organisers provide a varied program of big and small events throughout the year: Here we have put together for you, the best event highlights from January to December, according to the season. This simplifies the choice a little! You will still find details of events in our comprehensive events calendar. 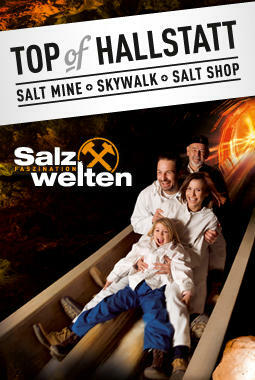 We hope you enjoy browsing and who knows, maybe we see each other at one of many events in the Salzkammergut! Fresh events for a colourful spring - as colourful as this season in the Salzkammergut. Highlights from March to May summarised for you. Magical caves, deep tunnels and sporting challenges - here you can find an overview of the best events from June to August at a glance. Autumn is the time for hiking. 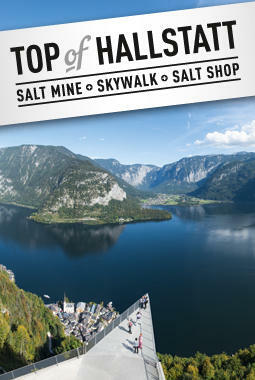 However, numerous other events are very popular with autumn holidaymakers in the Salzkammergut. Here you will find the highlights from September to November. 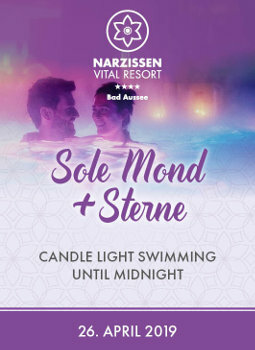 Enchanting and romantic pre-Christmas period, iconic start to the year or colourful ballooning mixed with numerous winter sports events. Winter Highlights from December to February at a glance. Obertraun | The perfect atmosphere for an unforgettable turn of the year in the Salzkammergut. Bad Goisern/Hallstatt/Obertraun | Lake Hallstatt swimming marathon: The “Lake Hallstatt swimming marathon” takes place on Saturday 4th August 2018, in the UNESCO World Heritage Region of Hallstatt Dachstein Salzkammergut. 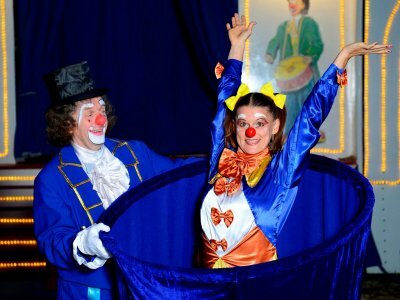 The Circus Belly is coming from 6th to 9th of June 2014 to Bad Goisern on Lake Hallstatt. 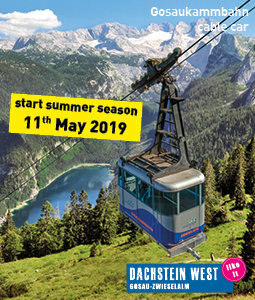 Bad Goisern | Guided bike tour: Guided bike tour through the UNESCO World Heritage region of Hallstatt Dachstein Salzkammergut. 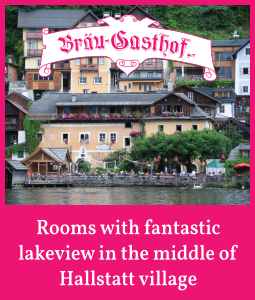 Hallstatt | World musician Hubert von Goisern invites you to an unforgettable open air concert on romantic Lake Hallstatt. 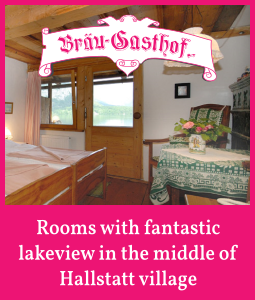 The event, scheduled for 29 August 2015 in Hallstatt, will be the musical highlight of your holiday. Act now and purchase your tickets before they’re sold out! 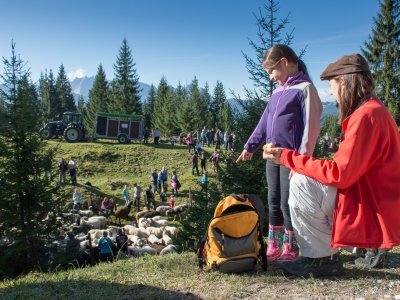 Gosau | Iglmoosalm: A leisurely day with delicious food awaits you on the Iglmoosalm. Torchlight walk through Hallstatt: Be captivated by Hallstatt and its unique history during a leisurely evening stroll and enjoy the romance of the world famous lakeside village.